@lipstickdiva I found it at 5 Below. (If you don't know, it's by whoever owns Old Navy and it's a store where...you guessed...everything is $5 or less). I used some of the gold tones in it today and was pleasantly surprised at how nice the pigmentation is. I agree with you on Wet N Wild, they are actually really good products. The majority of my lipstick is Wet N Wild. That's a really pretty palette! can't see the pinks being hugely useful but all the others are great! Oh wow. It is a really pretty palette. Agree with @foodycatAlicia about the usefulness of pink eyeshadow. Maybe they could be used as blushes. I had no idea that 5 below was affiliated with Old Navy. I think there is one in DC. I'll have to check it out. @lipstickDiva I stand corrected, it is not affiliated with Old Navy according to Wiki. I made an assumption since they gutted/remodeled the Old Navy and put this in next door that was an affiliation. I was pleasantly surprised by it. I ran in to look for a beach bag for my niece and ended up perusing the whole store. Debating whether or not to get the Jeffree Star Beauty Killer palette when it comes out later this month. I'm not sure how often I'll use the colors, but they look amazing. I think I'll wait to see some other beauty vlogger reviews to see what they say and how they use it. @ellystar ; Where did you find a glimpse of the colors? It's sooooooooooooooo pretty. I don't travel much, and it's usually just family vacations where MAKE UP isn't always required, but I just feel like this would be such a good thing to take and it would be all you need (aside from foundation, etc). Why does all the pretty stuff have to be so expensive? I ordered the Jeffree Star palette earlier today. Looks like I was a lucky one, it sold out pretty quickly. I'll let you all know how it is once I get it. The UD Moondust palette looks gorgeous! Anyone seen it IRL? 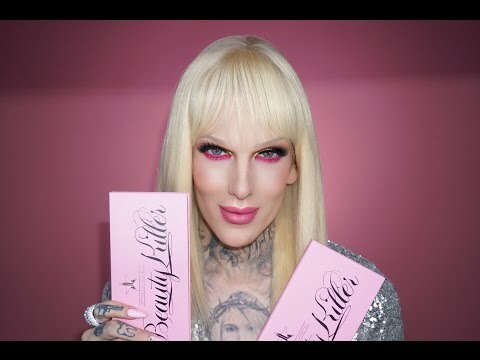 Not a fan of Jeffree Star. I have recently discovered Juvia cosmetics. I want to get their Nubian palettes and probably the masquerade one as well. I'm not anymore, which is too bad because the palette is really nice, I just can't bring myself to use it. It wasn't until after I bought that I began to learn more about his past and then that whole drama thing with Kat von D happened. I watched one of his videos today for the first time in a few weeks, but I stopped part way through because I just wasn't up for watching him anymore. I've been pretty happy rotating between two of the Nyx ultimate shadow palettes, two of the Color Revolution palettes, and the Gwen Stefani Urban Decay palette. I might make a trip out to Ulta or Sephora soon for a new one to add to the mix though. Did you all see that Urban Decay released a new Naked palette. It's all mattes. I have mixed thoughts about it. Some of the shades look too light for me but having a matte palette sounds nice. I've also heard nice things about Sonia Kashuk's matte palette. Well I just totally splurged on the new Marc Jacobs palette. It was $$, but I love his eyeliners so I am curious on how it be. I use the original two Naked Basics palettes all the time. I really want the new one. Some of the deeper colors are so gorgeous. I've avoided the standard Naked palettes in the past because shimmer shadows just make my hooded eyes look muddy and greasy. See I can't decide if I should get the new naked palette. On one hand, I also want it because of the deeper colors, especially the lavender/lilac shade. But the reviews I see are mixed. I also just spent an hour cleaning out my makeup area because I have so much stuff I don't know how to store and use it all well. I have the naked 2 and it is a lot of shimmer/satin, which I kind of like, but as I learn more about how to wear eyeshadow beyond one shade, a few more mattes would have been nice. Haven't tried any of the basics palettes though, some of the shades look too light for my skin tone. Oh what's a make up addict to do! To buy or not to buy, that is the question. I was thinking that I really don't need another palette, but then I saw the Bobbi Brown City Collection - I am going to make Paris mine! https://www.bobbibrowncosmetics.com/product/13996/43483/Palettes-and-Sets/Paris-Palette/FH16 So perfect! I have the original Naked palette but have not been attracted to the others because of the shimmer factor. What I have grown to appreciate about Bobbi Brown is her colors are very everyday workable, but can very easily be punched up for an evening look. @foodycatAlicia and @Milaxx, so I just bought the Bobbi Brown London palette. I am a beauty junkie. Truthfully the two lighter shades don't show up on my skin, maybe I have to wear a white primer. I also bought the Union Jack gel eyeliner and her fine eyeliner brush. I need to play with it more because I don't feel like I'm adept at putting on gel eyeliner and I didn't think it packed a strong punch. Paris is also calling to me, both the palette and the city. That Union Jack gel liner is a beautiful colour! I think my Paris palette is waiting for me at the post office, but I haven't had a chance to pick it up yet. Just picked up UD's Naked Ultimate Basics palette. It's nice, but still nothing beats Naked 3. I am loving the Paris palette. 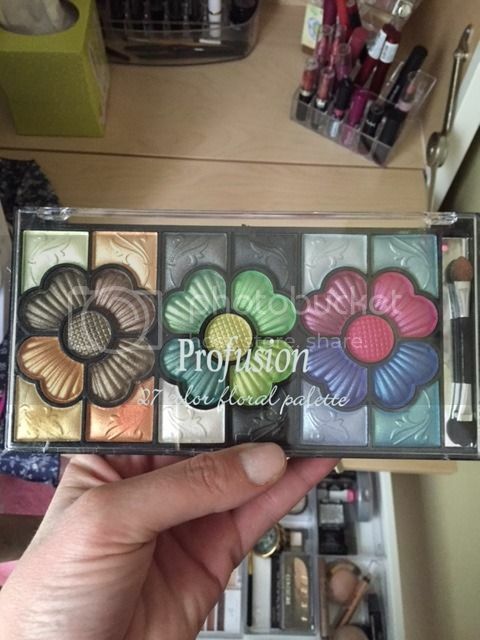 Super wearable, great pigmentation, great blending, great longevity. Not a Harry Potter fan, but the palettes look really nice. This question isn't quite on topic, but I didn't want to start a whole new thread. Can anyone suggest a good waterproof eyeliner for tightlining? Back on topic: my fave is KVD's Shade + Light Eye Contour Palette. Actually, I like it so much it's only eye shadow palette I've invested in. The Make Up Forever Aqua XL Pencil liner is AMAZING. It does not move. At all. Once it's set, at least. Plus, it comes in tons of colors which is always fun. Marc Jacobs' Magic Marc'er. I have really oily eyelids and this stays put! Best liquid eyeliner in the world! Switch842 & GeoDiva: Something really nice happened when I went to Sephora for eyeliner on Saturday. I tried out the Make Up Forever Aqua XL Pencil liner and liked it so much I decided to buy it. When they rang me up at the register, they said I could pick a birthday gift: a sample size lipstick of some sort and a sample size of the Mark Jacobs eyeliner. Of course I went for the eyeliner. I really like it, too! This was only my second trip to a Sephora. The first time was to pick up a birthday gift, but this time I stayed and browsed a bit. I was lucky to make it out of there with just the eyeliner and a KVD Studded Kiss lipstick in Motorhead. Nice! I keep meaning to grab a few more colors of the Make Up Forever liners. They really are amazing.